Lack of access by adolescent girls to family planning, including contraceptive information, education and services is a major contributing factor to unwanted teenage pregnancy and maternal death. Today as the world marks World Population Day under the theme “Family Planning is a Human Right” access to contraception is important to promote sustainable population growth. Family planning is important in enabling parents space their children to promote both the health of the mother and the child. It is critical in achieving the Sustainable Development Goals (SDGs) by regulating the population growth. Nandi County has an annual population growth of 3% and a total fertility rate of 4. Life expectancy stands at male 58 years and female 60 years. The poverty index is 47%. 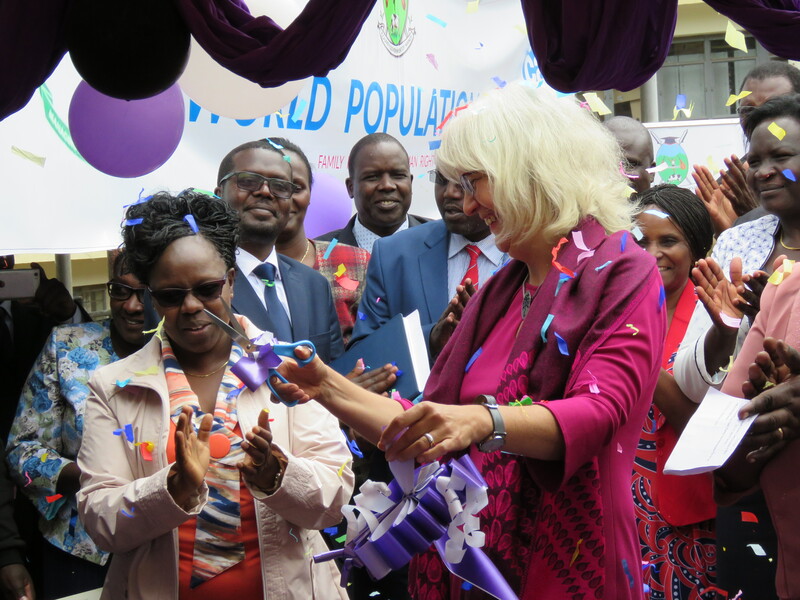 In marking the World Population Day, Nandi County launched its first family planning costed implementation plan (2018-2022). The plan lays the groundwork for family planning prioritization, coordination and budgeting in the county, and will help guide resource mobilization efforts. The family planning costed implementation plan is a five-year roadmap designed to help the county to promote and achieve its family planning goals and guide its investments in the sector. Goals that when achieved will save thousands of lives and improve the health and well-being of women, families and communities. The plan was developed in support and partnership with Deutsche Stiftung Weltbevölkerung (DSW) in a bid to improve family planning access and service delivery to the public. The plan aims to increase the county’s modern contraceptive prevalence rate (mCPR) to 68% among women of reproductive age in Nandi and reduce the unmet family planning needs to 40% by 2022. If fully implemented, Nandi Deputy Governor Dr. Yulita Cheruiyot said that the costed strategy will help the county reach its target of increasing access to modern contraceptives to 68% by the year 2022. Modern contraceptive use in Nandi County is currently at 58% (Kenya Demographic and Health Survey 2017). Reaching the county’s target will not only contribute to averting maternal deaths, but spur development as well, she said. Dr. Paul Lagat, Chief Officer in charge of Medical Services, remarked that because of the plan, never again a matter as important as family planning funding will be left to guess work. On her part, Chief Officer Preventive and Promotive Services Sally Kemboi said that family planning increases the economic growth per capita output by 20-30%, contributing considerably to the attainment of the sustainable development goals (SDGs). Angela Barh, the DSW International Director, Programs and Projects said the family planning costed implementation plan is a document that will help the county to project family planning needs, especially in terms of investment of human and financial resources.